It’s a sad fact that 2 out of 3 dentists will experience musculoskeletal pain during their career. Dentistry is the fourth most likely occupation to result in this kind of pain, and the roots of the problem can often be traced back to student days! Bending over equipment, twisting to reach tools, performing repetitive actions and holding arms and bodies in the same position for longer than you should all contribute to putting a strain on the body that, before long, results in pains that can plague you throughout your career. Yet with a well thought out workspace layout and workflow design, these problems can be reduced, and even completely eliminated! 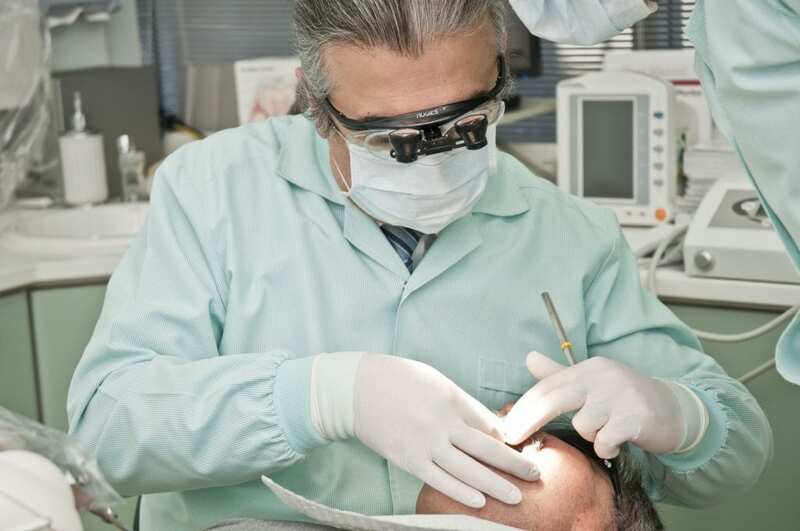 In this article, we look at the steps dental practices can take to overcome the occupational pain that staff shouldn’t have to put up with any longer. What Do We Mean by Ergonomics in Dentistry? Ergonomics is the science of making workspaces and workflows meet the needs of the workers (rather than vice versa). In the field of dentistry, this means making sure that dental offices and practices support and promote the healthy movement and good posture of dentists, dental assistants, and office and reception staff. It is what will aim to eliminate the musculoskeletal pain that sees many dentists’ careers end before their time, and will enable you to provide the best possible experience for staff and patients alike. The design of treatment rooms and surgeries has remained largely consistent for several decades, but the emergence of ergonomic science is beginning to change that. 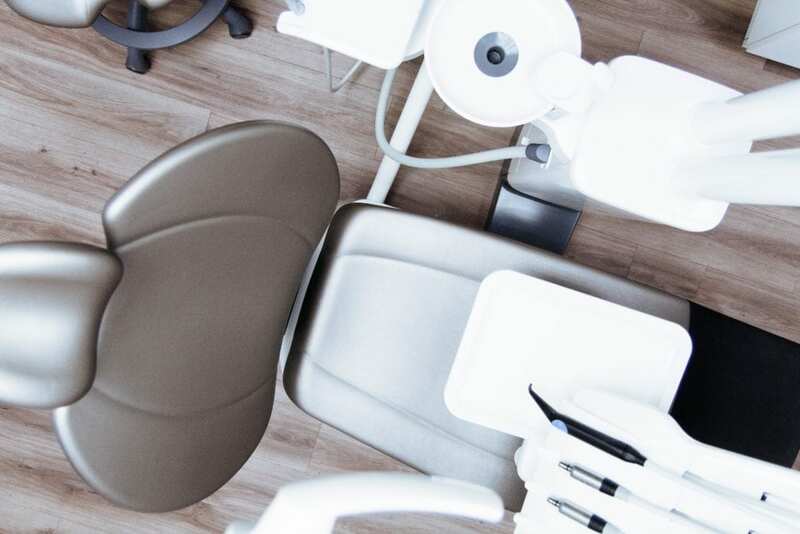 Whether it’s an ergonomic dental chair or ergonomic dental tools, good design will improve productivity and increase the working life of a dental team. So rather than making staff adjust their bodies to fit workspaces, create a healthier, happier team by making the workspace fit the staff! The key benefit of improved ergonomic design for dental practices is of course a better, safer and healthier working environment for dentists. But it’s not just dentists who benefit. Ergonomic design improves four-handed dental work, meaning assistants benefit too, and it can even extend to other parts of the practice, making reception areas and offices better for those who work in them as well. And then there’s the undeniable financial benefit that runs alongside an improved working environment. Musculoskeletal injuries account for 14% of all doctors’ visits and 34% of sick days, so making your workforce healthier will increase productivity. Additionally, when it comes to dental staff recruitment, the ergonomic applications to your dental practice will help make your clinic stand out from the crowd and bring quality personnel into your team. 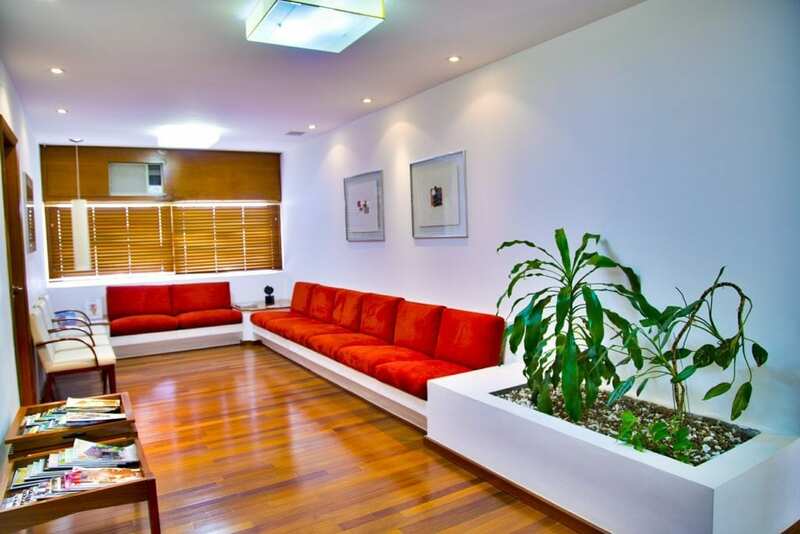 The improved look and feel of your space will also make an impact on prospective patients, who often have little else to go on when deciding which practice to join. 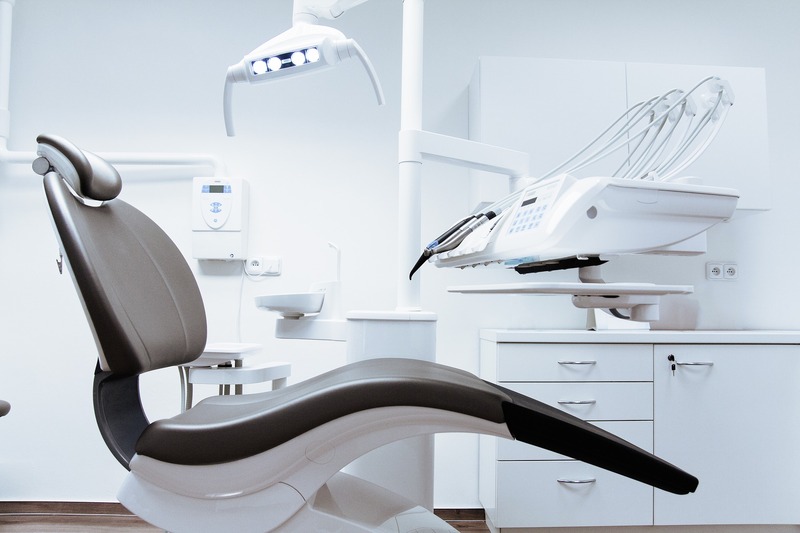 A modern ergonomic design for dental offices is part of the raft of technological improvements flooding into dental practices that show new patients that yours is an up to date, patient-positive environment. It’s been shown that practices that embrace new technologies prosper, even in unfavourable economic conditions, so embracing ergonomics can help your dental surgery thrive. Now we’ve looked at what ergonomics is all about, and discussed some of the many benefits to incorporating ergonomics in a dental practice, it’s time to start thinking about the positive changes you can start making in your own setting. Working with dental architects will help you to maximise the effectiveness of your space and ambition when it comes to ergonomic design, but here are our ten top tips to get the juices flowing. Workspace positioning. 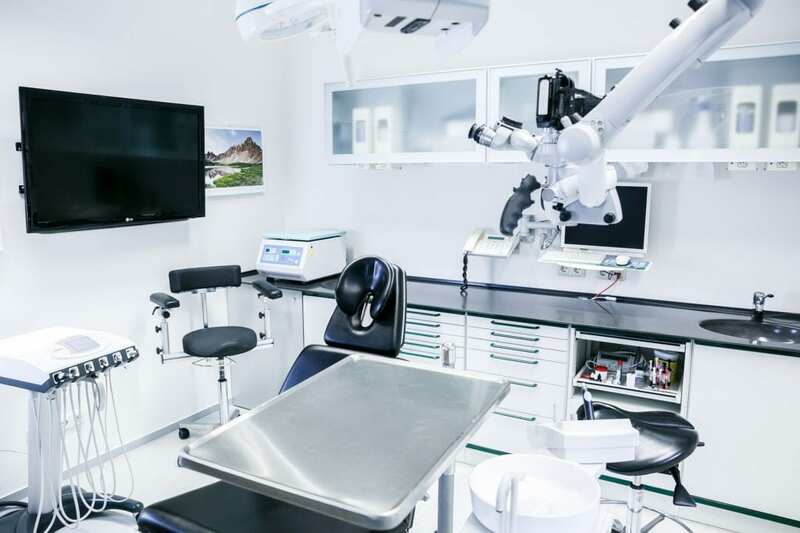 Key to a successful ergonomic dental office design is making sure that the unit and patient chair, hand instrument table and worktop are all within easy reach of each other for dentists and assistants. Consider placing the instrument bridge over the chest of the patient and the hand instrument table near the patient’s temple so that both can be reached by dentist and assistant from all working positions. Patient positioning. Be careful that patients are not being positioned too high: the tooth surface should be about elbow height to ensure your arms and shoulders are not raised and therefore strained unnecessarily. Operator stool. When it comes to ergonomics in dental practices, seating is important as dentists and assistants can spend a lot of time in this position. Ensure that each operator stool has an adjustable seat and back rest. The seat should be tilted forwards so that it is at 120 degrees from the backrest. Keeping your hips higher than your knees will support the natural curvature of the spine. Patient’s chair. Ensure that your patient’s chair has a thin and flexible backrest. Ergonomic dental chair design will give the dentist and dental assistant good access to the oral cavity from all working angles, without any necks having to be craned. Space. Ensure there is enough space for dental staff to move and work in treatment rooms, including at least 60cm behind the neck of the patient’s chair when reclined. A cramped working space will force muscles to work hard in ways they’re not designed to. Loupes. Choose magnification devices with a steep declination angle and a large operating distance so that dentists can keep their heads in a neutral upright position during examinations. Movement and exercise. Ensure that dentists and dental assistants move around and stretch out between patients, whilst trying to alter the muscle groups they use as they work so as not to over exert the go-to groups. Different stools can be used for different tasks to add variation to working positions, and practitioners should stand for some of the time as this reduces strain on the back and neck. Posture. Maintaining the correct posture is key to avoiding the chronic pain syndromes many dentists and dental assistants simply put up with, so this needs to be a fundamental and consistent reference point for staff. If dentists find themselves moving out of their correct posture, better mirror use may be required. Wrists and fingers. These are perhaps the hardest working parts of a dentist’s body, and as such take a lot of the burden. Keeping wrists as much as possible in a neutral position (wrists straight, palms facing each other shoulder width apart), and training arms and shoulders to take on some of the repetitive motions the fingers tend to do will help keep both in good shape. No one size fits all. Ergonomic design is about fitting the workspace to the worker, but don’t assume all workers are exactly the same height or build. Dentistry equipment and workstations have traditionally been built with men in mind, and a lot of female dentists report musculoskeletal problems as a result. Review your workspace with your actual workers in mind and adjust as required. 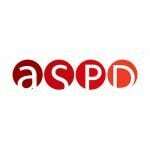 The chances are that if you design or redesign your practice, you’ll be thinking about lots of things including your patient experience, upgrading technology and the friendly atmosphere you’re trying to create; ergonomics and dental hygiene aren’t concepts that have traditionally resonated with each other in the planning process. But don’t forget that your staff are the ones working 8 – 10 hour days and bringing the money into the practice. 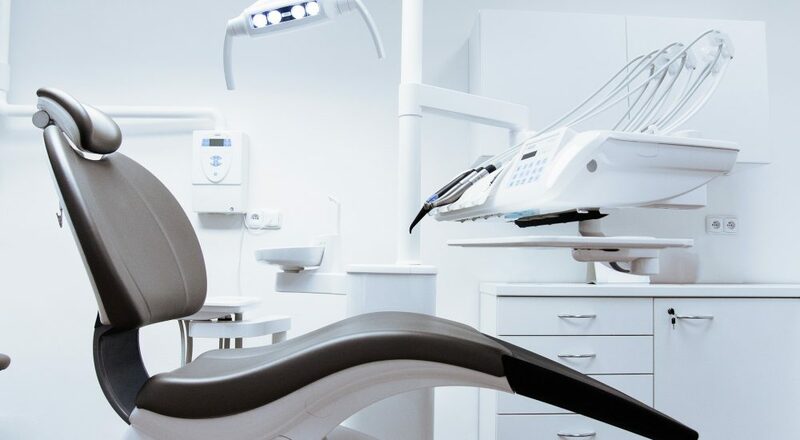 Considering ergonomic requirements for dental equipment to make sure the environment works for your staff is key to a happy, healthy and efficient business. The job of a dentist is not an easy one; it comes with a challenging workload, little time and, often, emotional patients, so why make things any harder? An ergonomic dental clinic design will result in happier and healthier staff, as well as greater productivity and more satisfied patients. In short, it’s an investment well worth making.